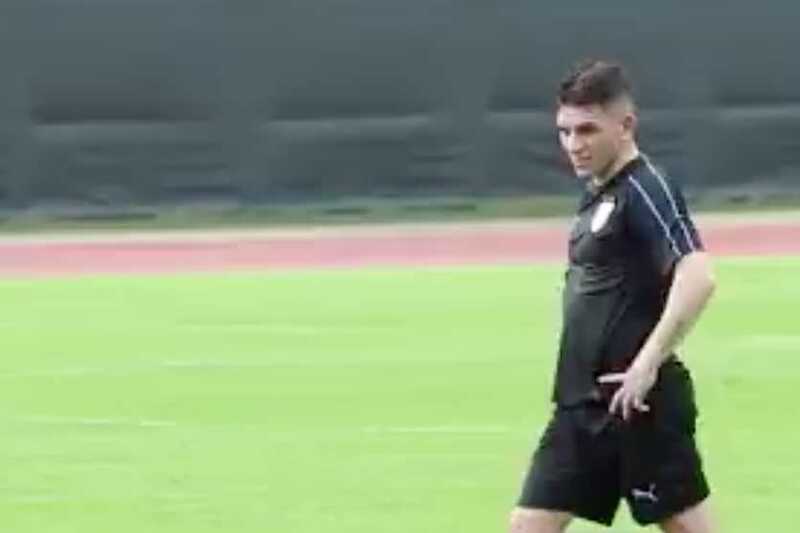 Arsenal midfielder Lucas Torreira has been training in China today. The Uruguay international and his team-mates are taking part in the China Cup friendly tournament this month. The Celeste face Uzbekistan in their semi-final on Friday. Ahead of the game, Oscar Tabarez’s squad held a training session in the southern city of Nanning. Gunners star Torreira flew out to the Far East in a private jet on Monday to link up with the squad. You can see Torreira, aged 23, in action in training in the photos below.